Product prices and availability are accurate as of 2019-04-25 18:13:06 UTC and are subject to change. Any price and availability information displayed on http://www.amazon.com/ at the time of purchase will apply to the purchase of this product. 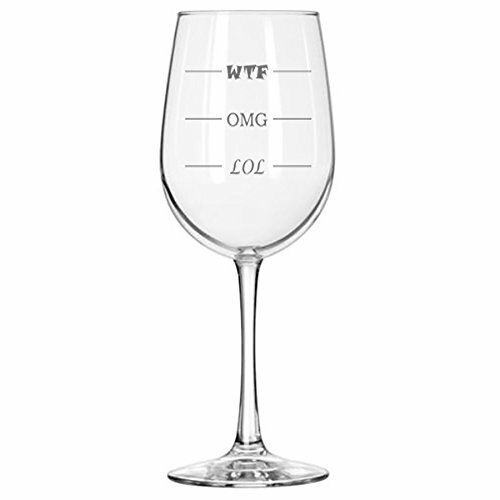 Finally a wine glass for every mood, and a wine lover's gift for every occasion! Sandblast etched using a beautiful 15 ounce stemless Arc Luminarc Cachet wine glass model G9957. 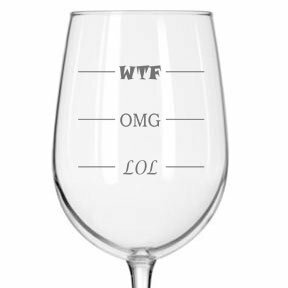 LOL, I'll have a little wine. OMG, I need more than that! The design is sandblast etched onto the glass creating a permanent, 100% dishwasher safe design that will not come off. This is a quality, made in the USA 15 ounce stemless Arc Luminarc Cachet wine glass. Buy one for yourself and one for a friend. Great gift to cheer up co-workers or friends and family who are having a rough week. Have a couple on hand, they make great birthday, wedding, "emergency" or hostess presents.